How are doing today everyone? I thought I would follow up my last birding post with a slacker Bunting, yes, quite the “Lazi” Bunting (hey, I heard that groan all the way over here!). 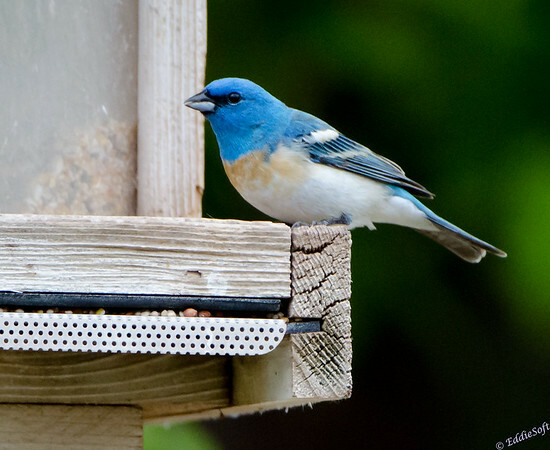 That loyal readers is called a Lazuli Bunting. Like the last post on the Phainopepla, this Bunting also represents a new check in my North American Bird List. Starting to get a respectable number now in a desperate attempt to keep up with my brother Ron’s tallies. 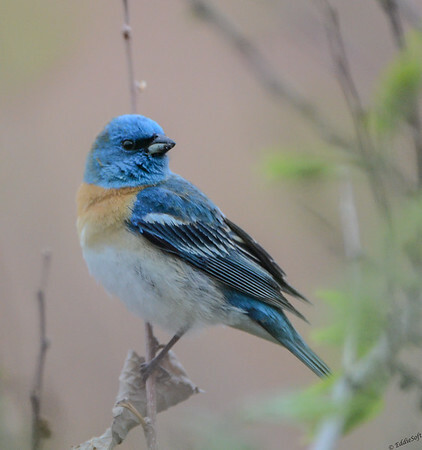 I have benefited significantly from his recent introduction into the bird blogging arena – you may not be aware, but we have a birding rule between us that doesn’t allow us to count a new bird on our lists unless we have posted about it first on our blogs. Don’t feel sorry for him though, he was properly warned before taking on this new responsibility. These last two posts alone would put me at 2/3rds of his new (post blog) bird count heheheh. Hit the jump to see and read more about this shoot!